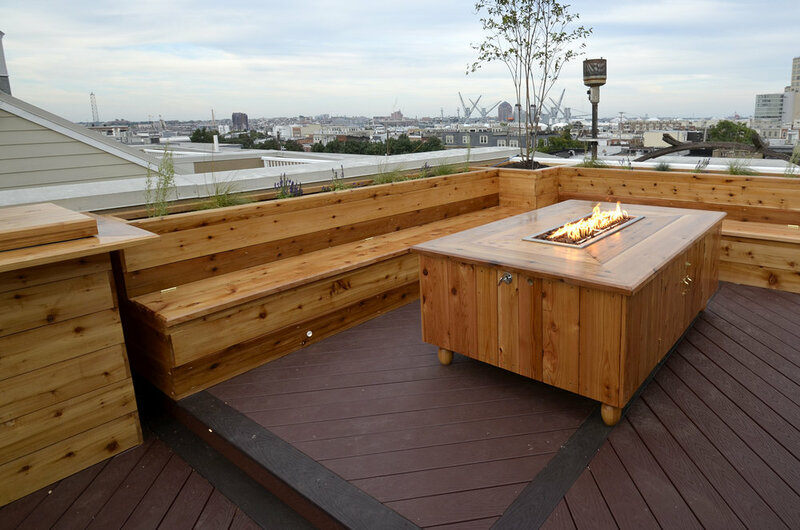 This rooftop in Locust Point now serves as an outdoor entertaining spot. The family in Locust Hill liked the idea of their rooftop deck and they loved the view, but they rarely used the space because it wasn't comfortable. They looked to Charmscapes for a design that would allow them to spend time on this unused floor, and to entertain guests. We installed a new deck and seating area complete with a bar area to sit and take in the view, built-in storage and cooler, a gas fire pit and lots of greenery. The result is another floor of their house, fully livable. The Charmscapes team did an amazing job of transforming our rooftop into a useable space that we will be enjoying for years to come! From the design to the execution to the finished product, Charmscapes was creative, paid attention to detail, and ensured that its work was top-notch. The team was a pleasure to work with and we'd highly recommend them to anyone looking to improve their outdoor space. The fourth floor roof boasted a gorgeous view, but that was about it. We created an entire floor of livable space by covering the roof with Trex decking, installing outdoor seating with storage, a built-in-cooler and a bar area overlooking the harbor. 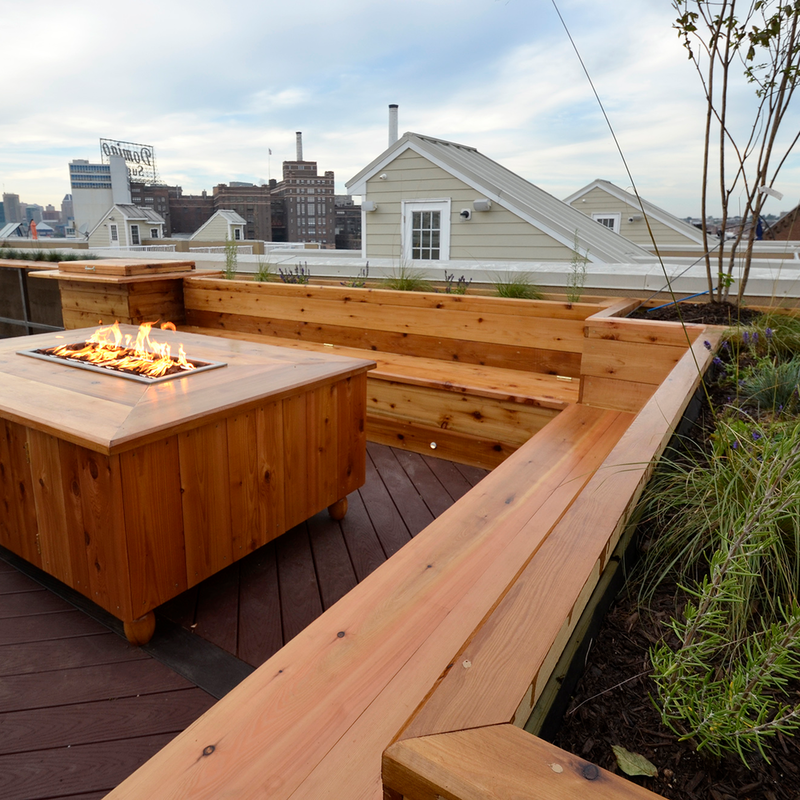 While the view is great, the winds can get chilly so the central feature of this design is a fire pit with seating surrounding it, so the homeowners can stay warm on cool fall nights.